We always have a blast learning about different community helpers during Community Helpers Week. This week we are focusing on a Police Officer! Here is a great free Community Helpers Week Theme Pre-K Printable (Police Officer) that you can use either in your classroom or at home for the kiddos. You can incorporate the Police Officer Community Helpers Week theme into your dress-up center by adding some simple items. Amazon has a few items that will help you out a bit. Don’t forget most of these items ship free with Amazon Prime. Try these awesome add-ons for Community Helpers Week! They also have a great magnetic dress-up Toy set for your puzzle area. Here are some sweet hand puppets great for your puppet area. 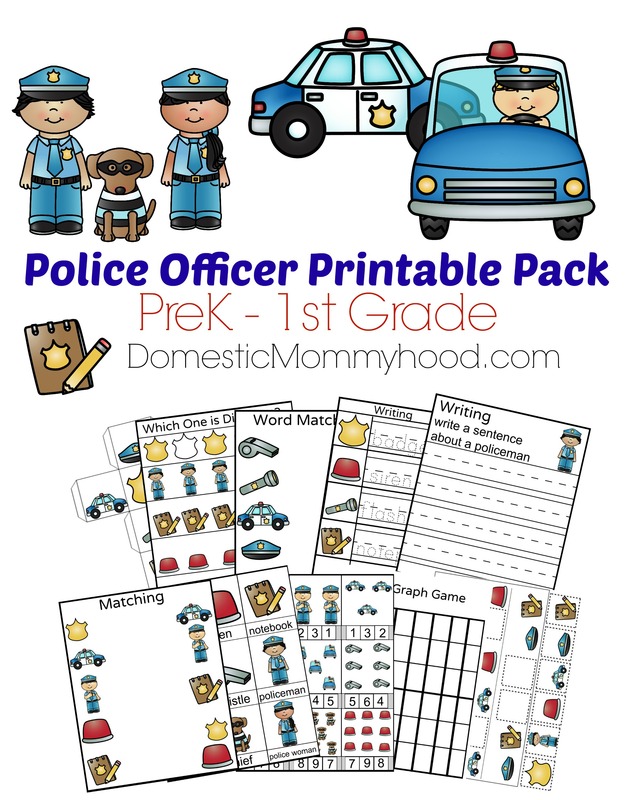 Below you will find the link to the Police Officer Printable for Community Helpers Week!